Robin Red Breast, even his name sounds adorable. Erithacus Rubecula to give him his proper title, sounds grand and pompous, so unlike his seemingly friendly, mischievous character. 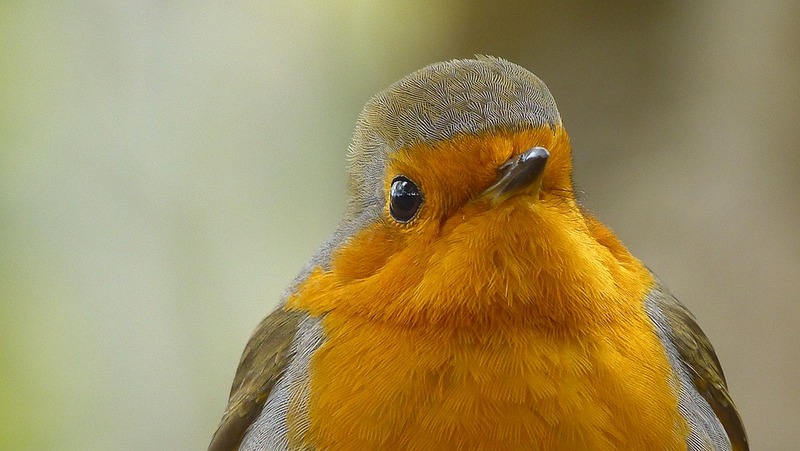 My Robin is called Christopher, but then I imagine most are. Who hasn’t seen a robin on their garden fence and stopped for a moment to watch and smile? Or cocked an ear to listen to the pretty year round birdsong, particularly in the dusky evenings when he likes nothing more than to sing by street light. Who would have ever thought that this timid little creature could be tamed, would feel safe enough to perch on his human’s shoulder and take food from his hand? It happens and is relatively simple to do. When to tame a Robin? 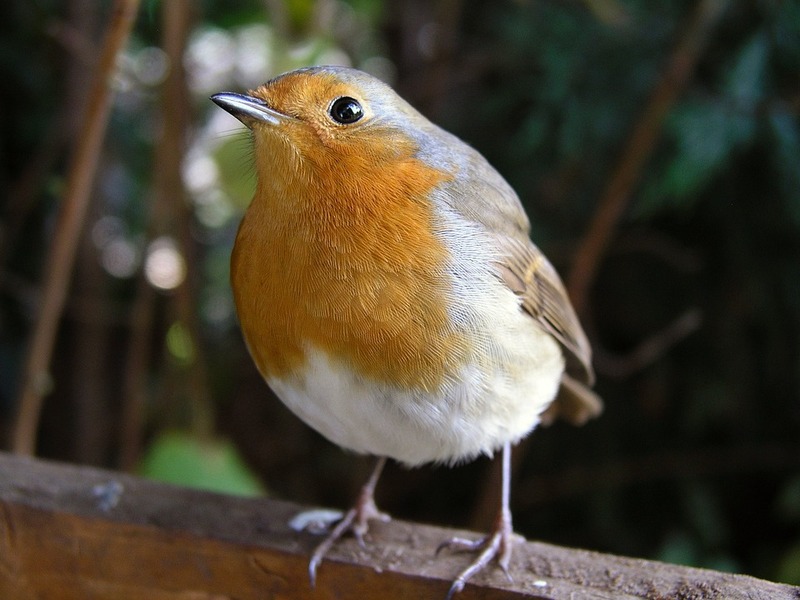 Robins are territorial and will return to your garden time and time again. They nest on low ground somewhere concealed, they love a climbing plant that they can nestle inside, hidden from predators. 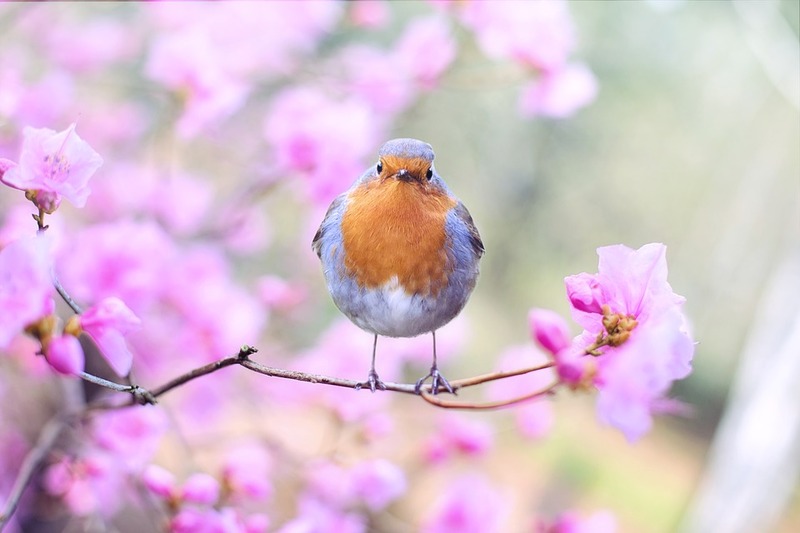 The Robin is comfortable busying themselves in your garden, watching you put the hard work in turning the soil over, for them to swoop at the first sign of ‘lunch’ wriggling in the ground! 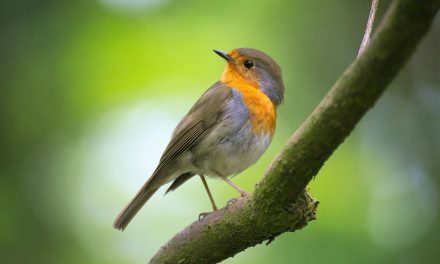 Robins are timid, they will flee at any sign of a challenge. So any attempt to makes friends will be strictly on his terms, when he is good and ready. Early spring is a good time, last year’s bulbs are poking their heads through the ground so you naturally find yourself in the garden anyhow. 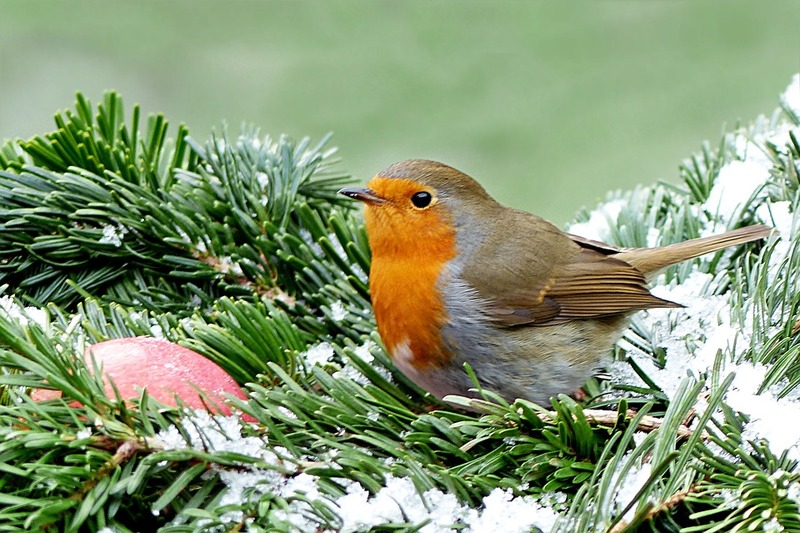 The bright yellows, vivid purples and soft oranges, along with the aroma of his treats, attract your robin too. He is full of the joys of Spring, he found a mate at the start of the year and the chicks are due to hatch any time soon. He is on the hunt for food to keep the wife and kids happy! Robins are no fools, you want him to land on your hand then you’d better have a particularly tasty treat awaiting him. Fruit suet blocks work well, as do fresh pieces of fruit or nuts. But a robin will sell his soul to the devil for a juicy mealworm! So stock up on these treats and it shouldn’t be long before you have a visitor to your garden. Once he’s there just carry on about your business, they are clever little creatures and will soon realise that you offer no threat. Begin with throwing him a worm every now and again, getting closer to you over time and making the whole trust issue a slow and gradual process. 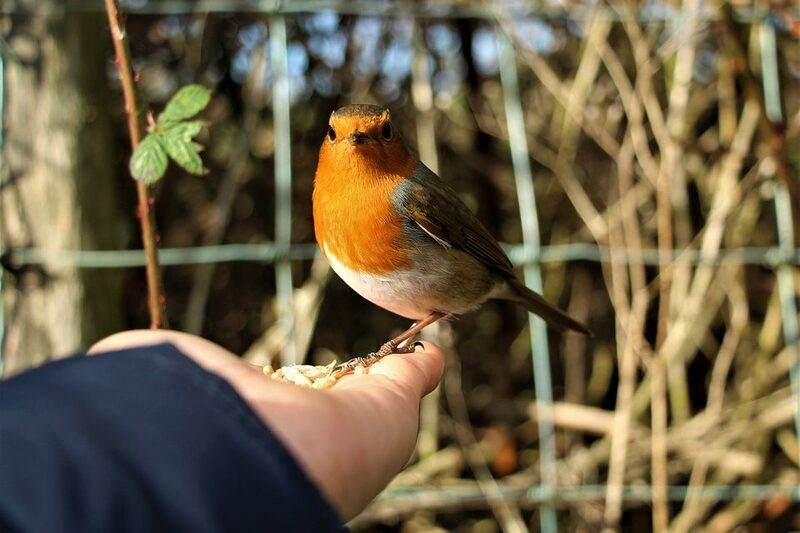 Wander into the garden with the mealworms in your hand and stand in full view of your bird whilst still being in a more sheltered area, maybe next to a fence with climbing plants, or beneath a tree. Then… .here’s comes the science..
Yep, that’s it. Arm outstretched, palm up, treats on show. Don’t get too disheartened if he doesn’t come. 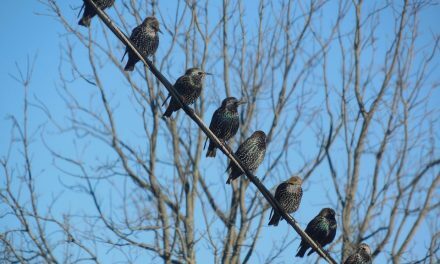 It’s a slow, trust building relationship, as with all fledgling friendships. Magical, that’s the word that springs to mind. This tiny bird landed perfectly on my fingertips, so feather light and fleeting that if I hadn’t seen it with my own eyes, I might not have believed it happened. He stabbed a worm with his sharp beak and then spread his majestic wings and flew away, blowing my hair with the strong gush of air he created. A second or two and it was over. And that’s how simple it was. And I was hooked. So I persevered. It’s very much more of the same and within a short span of time you should find your new friend will come with ease, almost as if he’s waiting for you, tapping his watch and shaking his head like an annoyed Boss when you’re two minutes late to work! The experience becomes no less entertaining, even therapeutic and often breath-taking. I find myself chatting away to Christopher as I garden, what must the neighbours think?! We have reached the point where he is comfortable enough to sit on the kitchen windowsill when he sees me in there and a couple of times he has been chirruping on the backdoor step when it has been open, not quite tough enough to cross the threshold yet. Lunch time! He spends longer in my hand now too, so I can actually admire his beauty. He has landed and stayed awhile on my shoulder a few times, I think he likes the vantage point where he gets first glimpse of any grubs! I have researched this at some length to see if it’s a regular occurrence, and apparently, it is. Others have managed to take it much further, the actor Mackenzie Crook, writes lovingly of his little robin, more creatively called “Winter George”, who perches on his shoulder as he prepares family meals and has brought the wife around for dinner! Amazing. I hope you give this a try, it is so uplifting. I will persevere with Christopher, I won’t stop until I become the Batman to his Robin!